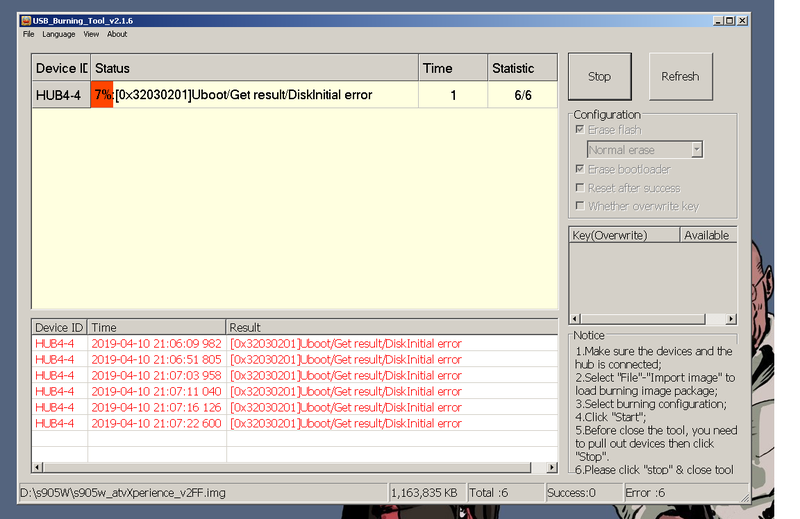 Keep getting disk failed error. MXQ PRO S905W. Also tried: s905w_atvXperience_v2FF the above link worked and flash sucsessfully but I can't boot it, the box doesn't show anything on my TV. tried multiple too. I keep getting a disc write error???????????????? How long does android take to boot after a successful flash? I've tried Windows 10 and Windows 7; both the same!!!!!!!!!!!!!!!!!!!!! Did you try to go back to the stock Android 7.1 firmware of this device? You can unbrick your bricked device. Fix the boot loop issue by installing the Stock ROM. To fix bugs lags on your Android Device. This Software Update helps to solve the issue with WiFi, Bluetooth and more.